HONOLULU, Hawaii, April 12, 2012 (ENS) – The tsunami touched off by the 9.0 magnitude earthquake in Japan on March 11, 2011 swept about five million tons of debris into the Pacific Ocean, according to the Japanese government. 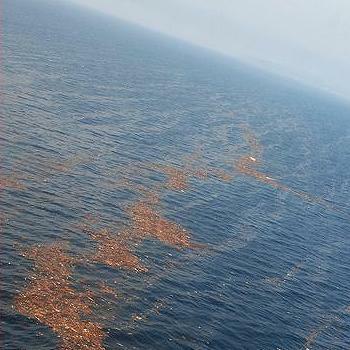 About 70 percent sank off shore, leaving 1.5 million tons floating, Japanese officials say, but there is no estimate of how much debris is still floating today. At first, the debris included everything from washed out houses, containers, small planes and fishing boats, to pieces of plastic, lumber, rubber, fabric, metal and glass. The heavier items sank close to shore; what stayed afloat has been pushed east and north by winds and currents. Immediately after the event, satellite sensors focused on the area around Japan picked up tsunami debris. By April 14, 2011, the debris had dispersed to a point where the sensors could no longer detect it, but this doesn’t mean it has vanished. Oceanographers believe it could begin washing ashore in Canada and the United States later this year or early 2013, but no one can predict exactly when or how much debris will make it across the Pacific. While not radioactive, the tsunami debris is hazardous to navigation, to fishing vessels, to marine life, and when washed ashore, it is hazardous to coastal lands and waters. To track where the tsunami debris is headed, a team of scientists and conservationists from the University of Hawaii, the Scripps Institution of Oceanography in California, and the Ocean Recovery Alliance created a plan to survey the debris and mark it with satellite-tracked drifting buoys. At the end of November, the team organized an expedition from Honolulu westward to Midway Atoll and beyond. Eleven drifting buoys, designed to simulate the motion of different types of debris, were deployed in a line between Midway and the leading edge of the tsunami debris field. Satellites are tracking the drifting buoys, and this data, combined with computer models, now allows the movement of the debris field to be monitored remotely, giving scientists and government agencies a better awareness of the status of the debris and of the region’s winds and currents. Among the most important results of the expedition was the recognition that tsunami debris had not advanced towards Midway Atoll in the Northwestern Hawaiian Islands, but instead was flowing eastward to the north of these remote islands. The flow also carries a lot of ordinary debris, mainly old plastic from the Garbage Patch, located between Hawaii and California. Examination of debris and water samples with a Geiger counter has not revealed any significant radiation. In March, the governments of British Columbia, Washington, Oregon and California agreed to coordinate their individual tsunami debris cleanup efforts. They will communicate information to the public, ensure beach cleanups are done safely, and attempt to return anything of sentimental value to Japan. To answer the questions about tsunami debris pouring in to nonprofit groups and government agencies, coastal communities are holding outreach meetings hosted by federal and state leaders. Beginning April 11, organizations on the Oregon coast are partnering with the National Oceanic and Atmospheric Administration, Oregon State University Extension, Oregon Sea Grant, state and local agencies, and conservation groups for a series of community meetings to share information and science about the tsunami debris. “Right now, as a result of the tragic tsunami disaster, Brookings, Oregon is rebuilding, Japan is reeling and the West Coast states are preparing to clean up an unprecedented amount of debris being carried to our coast on the ocean currents,” said Oregon’s First Lady Cylvia Hayes. “These workshops are important to helping us effectively deal with the tsunami debris and better protect the health of oceans and coastal communities,” Hayes said. SOLV, Surfrider Foundation, the CoastWatch program of the Oregon Shores Conservation Coalition, and the Washed Ashore Project are partnering with Oregon Sea Grant Extension to sponsor the information sessions. The meetings will take place between April 11 and 20 in coastal communities from Port Orford to Seaside, and inland in Portland and Eugene. Key speaker will be Nir Barnea, West Coast regional coordinator for NOAA’s Marine Debris Program, who will describe what is known about the contents and trajectory of the debris and what is being done across the Pacific to prepare for it. Barnea will be joined by representatives from the U.S. Coast Guard, Oregon Parks and Recreation Department, Oregon Health Authority Public Health Division, County Emergency Managers, and Oregon Department of Environmental Quality. All events are free and open to the public. After presentations, people will have a chance to ask questions. For a list of meetings with times and places, visit www.solv.org.